Tondo: Hades and Persephone recline on a couch in the underworld. 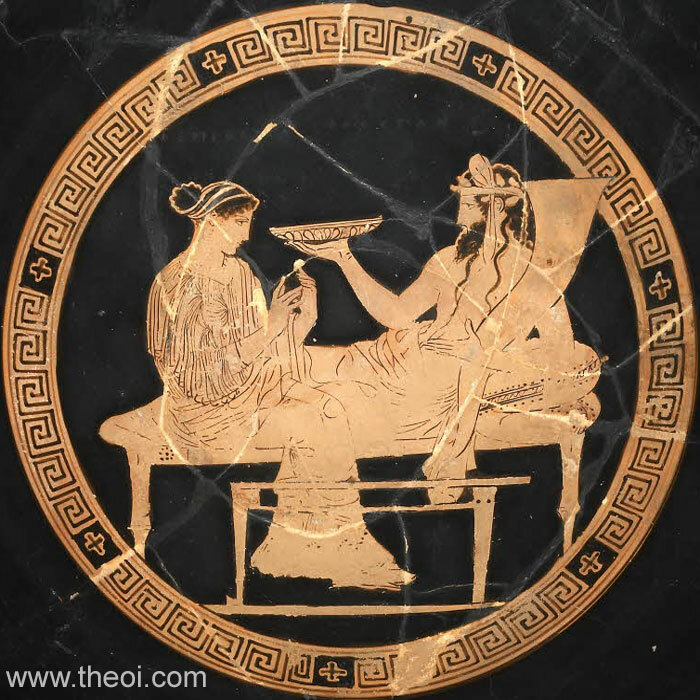 The god holds a cornucopia (horn of plenty) and plate, and the goddess a small item, probably a pomegranate seed. Sides: The feast of the gods of Olympus (see other image).